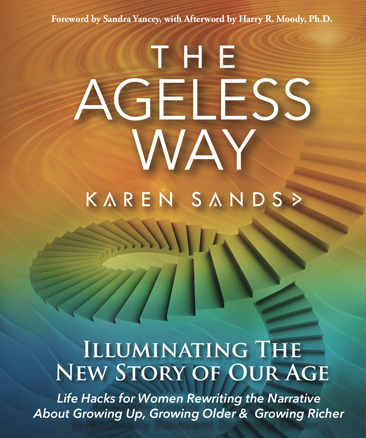 Ageless Resources from Karen Sands to inspire and guide you in reshaping your future, leveraging the Boomer Boom, and rocking your age! 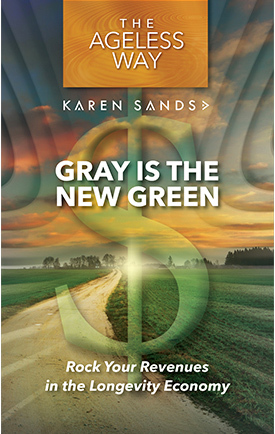 A must-read for anyone who wants to radically redefine growing older and reimagine the future together as entrepreneurs, change makers and world shakers, and in doing so, transform the world in visionary ways. 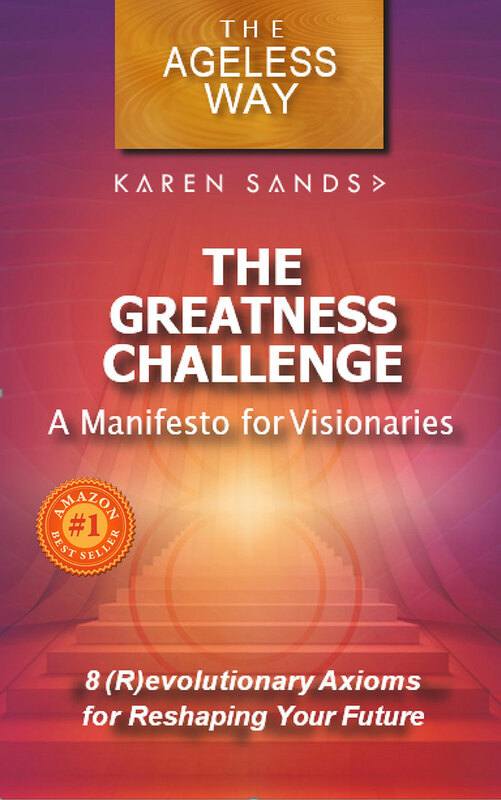 A Manifesto for visionaries and visionaries-in-the-making who are ready to accept the challenge to unleash their Greatness and transform the world. Reflection questions from The Ageless Way with space to write, doodle, draw, and record your insights, aha‘s and future plans. 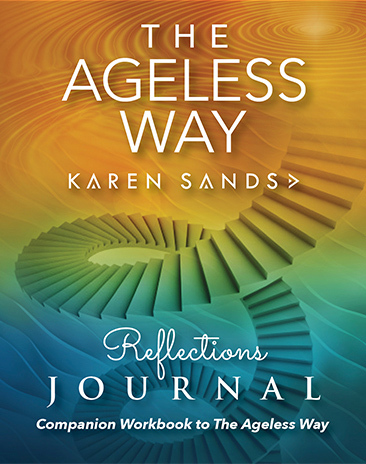 Get your FREE Reflections Journal download when you purchase The Ageless Way book. A Classic Favorite For ALL! 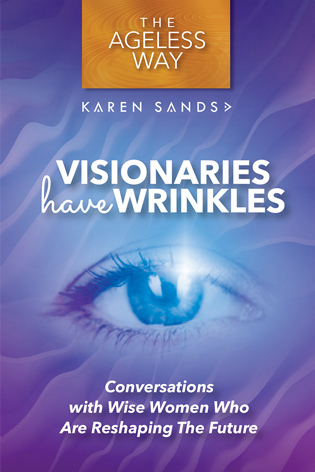 Women visionaries share their no-holds-barred inspirational points of view on growing older boldly, wisely, and visibly to reshape the future of aging for all of us. Reflections questions from Visionaries Have Wrinkles with space to write, doodle, draw, and record your insights, aha‘s and future plans. Get your FREE Reflections Journal download when you purchase Visionaries Have Wrinkles book. A winner for all generations and work-teams! 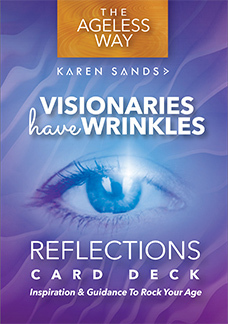 Each of these 52 cards contains powerful reflections based on the insights of visionary women post-50 that will transform your perspective on aging and your future, guiding you toward fulfilling your greatest vision yet. Who Are We If We’re No Longer Young? 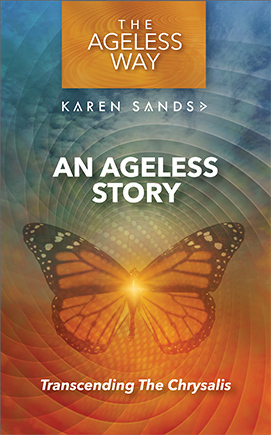 Not to be missed read for encore seekers in midlife and beyond who are exploring what’s next. 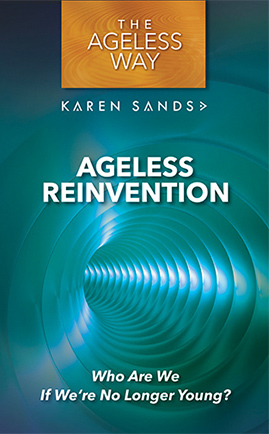 Discover how to radically reinvent and reimagine the future when we are no longer young as we move in the direction of our destiny. 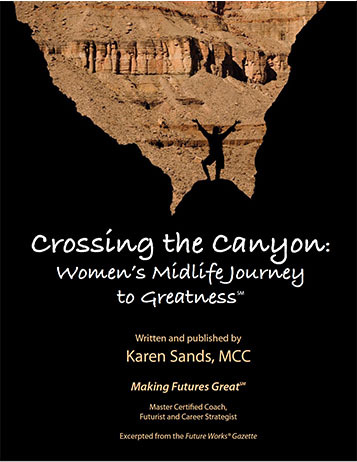 Karen’s life-changing tools, tips, and principles for making our futures great for forty-plus! 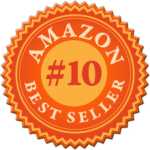 Learn the ONE secret to transcending age and living your Ageless Future. Be a part of the Ageless Generation and transform the world—again. The old story of aging no longer applies – if it ever did. 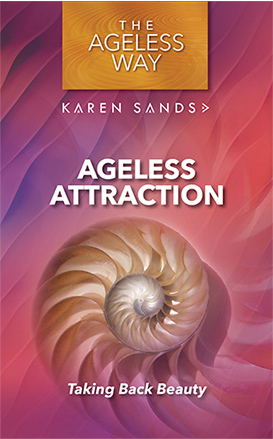 Redefine beauty and attraction to reclaim Agelessness anew. Discover how to transcend age to be forever young at every age. 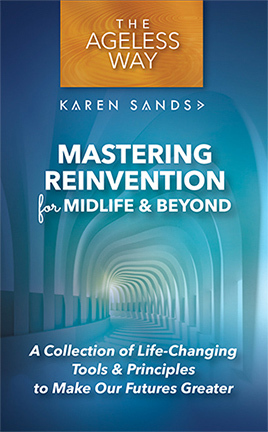 Essays on facing midlife transition with one central message: No matter how destabilizing change may be, each tremor of change offers up the opportunity to shake ourselves up out of old patterns and paradigms to discover a more alive and authentic Self.